Some people associate drones with small toys which can be used for aerial photography or other undemanding tasks. Others think of drones as powerful military machines that can be armed or used to observe an area on the other side of the world. Start-up Volans-i, however, creates something different, something in between. Their drones are designed to transport relatively heavy objects, weighing up to 9 kg. It has a range of up to 800 km, and the maximum speed at which it can travel is 320 km/h. 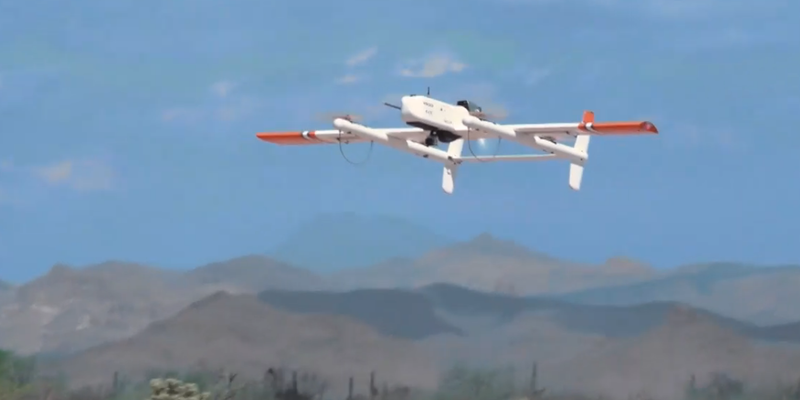 What makes the Volans-i drones different from others is their propulsion and capability. The drone has two sources of propulsion: a battery-powered electric motor for vertical take-off and landing and a combustion engine that starts when the vehicle is already in the air. The first one allows take-offs and landings in small areas of at least 4.5 x 4.5 m, the second one, in combination with the fixed wings, allows flying long distances. The drone can operate fully autonomously from takeoff to landing. In addition, it is able to land even on a moving platform, which can be useful when delivering items e.g. to ships. This is also one of the objectives for which the company created its drones. They are to be used for the transport of goods that are urgently needed, and their transport could otherwise take too long. This can be useful, for example, in factories, hospitals or construction sites. Hannan Parvizian, who is CEO of Volans-i, previously worked as an operational analyst at Tesla. There, he often experienced situations where parts had to be quickly transported to a service centre or to the main warehouse. It was then that he came up with the idea of creating a solution to this problem. And it is precisely in this kind of situations that the drones built by his new company are supposed to help. You can watch the drone in action here. Please follow @technocracy to get the best of space, technology and science news. And visit our Steem powered website: Technocracy Blog.